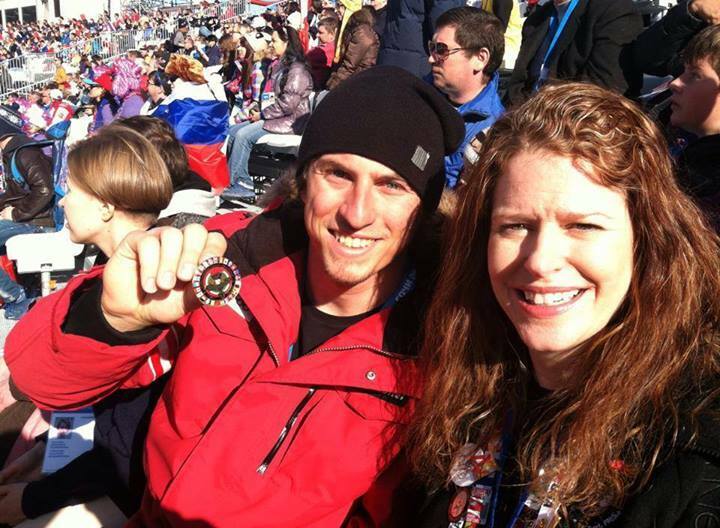 PRAYER REQUEST... WINTER OLYMPICS In SOCHI, RUSSIA!!! 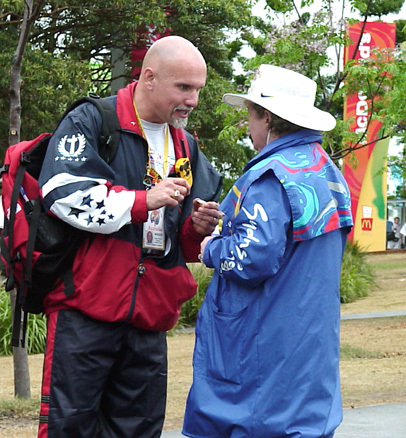 25 years ago, at the Calgary Olympics, the concept of the "Jesus Pin" became the foundation of a ministry that would become internationally recognized for its effectiveness in sharing the Gospel. 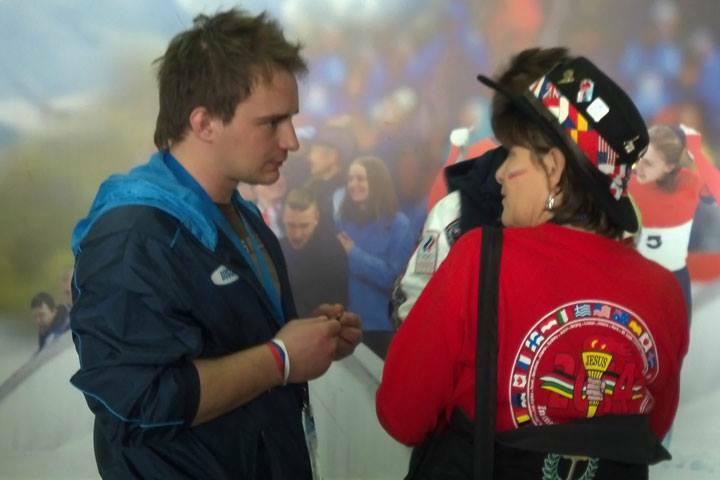 While people from all over the world join together for the Olympic Games, our International Sports Chaplains use the spectator sport of pin-trading to create an instant bridge of communication with others. The key to the success of our ministry is the "Jesus Pin". Tens of thousands of pins are traded on a daily basis at the Olympics. 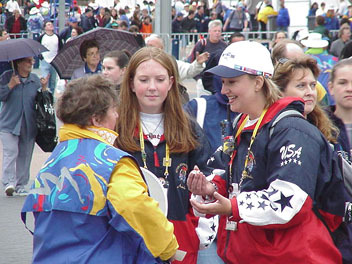 The New York Times stated that "pins are a kind of social currency, pre-Facebook form of social media that gives random fans a reason to start a conversation and even form a friendship" By taking advantage of this popular activity, our Chaplains are able to open conversations with hundreds of people each day. Since the initial topic is the "Jesus Pin", the Gospel of Jesus Christ is the center of attention and the path to Salvation is the story told each time a pin is shared. As we enter into our fourteenth Olympic Games this February, we will be taking 10,000 pins with us into Russia. Each person that receives a pin will also be introduced to the life-changing power of Jesus Christ. Divine Appointments are waiting for us and our veteran Chaplains know how completely we are held in the hand of God during this time. 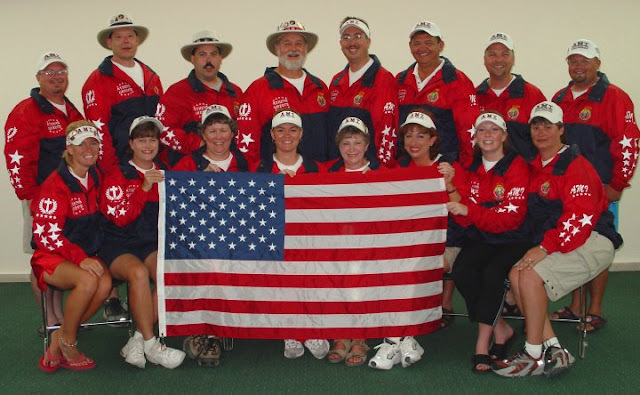 I ask for your prayers as raise the needed funds for the "Jesus Pins" and as our team prepares to go to Russia to "Carry the Word to the World" at the Olympic Games. Thank you for your prayer support. 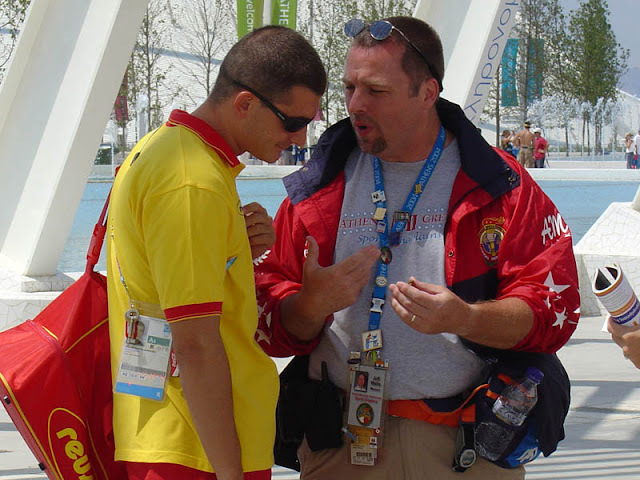 Twenty-five years ago, at the Calgary Olympics, the concept of the “Jesus Pin” became the foundation of a ministry that would become internationally recognized for its effectiveness in sharing the Gospel. 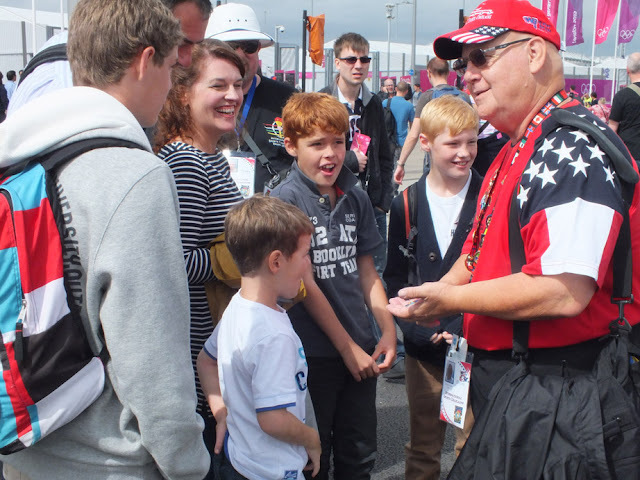 While people from all over the world join together for the Games, our International Sports Chaplains use the spectator sport of pin-trading to create an instant bridge of communication with others. 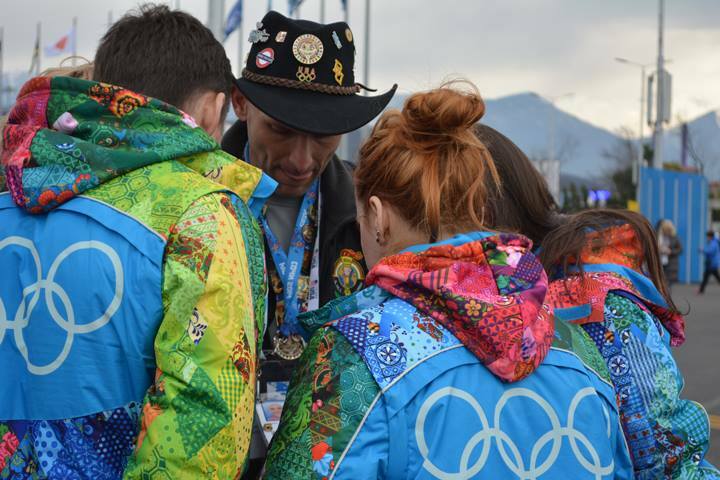 The key to the success of our ministry is the “Jesus Pin.” Tens of thousands of pins are traded on a daily basis at the Olympics. The New York Times stated that “pins are a kind of social currency, a pre-Facebook form of social media that gives random fans a reason to start a conversation and even form a friendship.” By taking advantage of this popular activity, our Chaplains are able to open conversations with hundreds of people each day. Since the initial topic is the “Jesus Pin,” the Gospel of Jesus Christ is the center of attention and the path to Salvation is the story told each time a pin is shared. Just as salvation is a free gift, so is the pin we give. 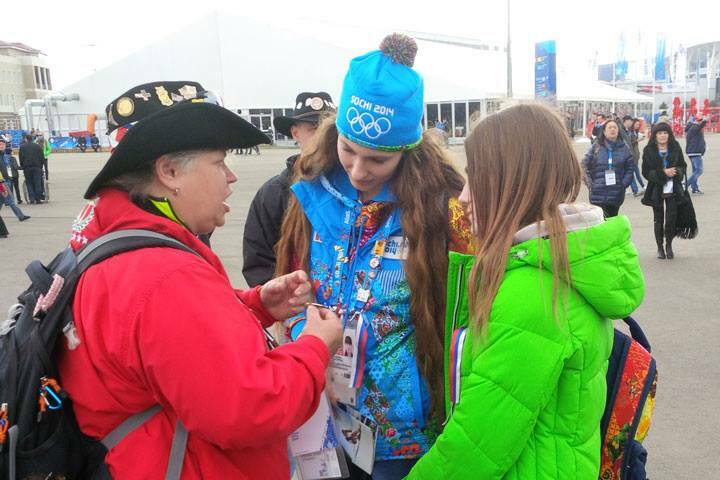 We do not ask for a pin in trade, instead, we only ask that the recipient listen as we share our story. We would like to ask for your help in making this possible. Each of these beautiful pins are only $2. Would you consider helping us cover their production costs? Every $2 you contribute is another person our Chaplains are able to meet, allowing the Spirit of God to move in hearts from across the world. The shipment of pins arrives December 14th and WE NEED YOUR HELP! Instead of sitting back… feeling ignored & rejected… feeling sorry for yourself… & waiting for a blessing to come your way... assume the ‘Jesus Attitude’. Take on the role/actions of a servant… begin serving those individuals God has place in your arena of influence. You wanted them to come to you. Realistically you need to go to them… FIRST! Amazingly, every relationship will begin improving when you begin treating, those God has given you, the way you want to be treated. That Do-unto-others-as-you-would-have-them-do-unto-you-attitude… has its roots in the God’s Love. Put self behind you… do what you know is right. Take the initiative. YOU take the First step! It may not be comfortable… it may not be easy… but you know it is the right thing to do… and God will bless your obedience!!! When the three Hebrew children were in the fiery furnace...God could have lowered the heat each step they took towards the fire... but instead... the fire grew hotter & hotter. When the Lord finally did deliver them... they were in the midst of the hottest flames. God may not deliver you before the fire... you may not avoid the heat... but He may choose to deliver you while you're in hottest flames... and will probably do it in the most surprising way. You'll discover later that you were never at risk... not actually hurt... and that the smell of smoke is no where on you. God deserves to be praised for the way He is about to deliver you!!! YOUR DELIVERANCE IS AT HAND.